Gordon Dirker, the new managing director-North America for Hurtigruten, is settling in at the company’s new U.S. headquarters in Seattle. 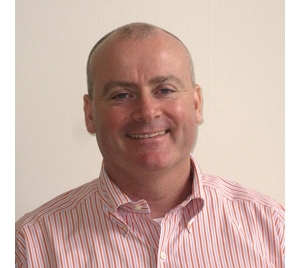 He previously spent 18 years with The Travel Corporation, most recently as director of sales for Brendan Vacations. We asked him four quick questions about his new position and Hurtigruten’s aggressive expansion here. Travel Pulse: Congratulations on your new position. What attracted you to Hurtigruten? Gordon Dirker: The product is very appealing. The industry is seeing much success in the river cruise market and a more immersive style of cruising, and Hurtigruten is perfectly positioned to offer a similar experience. Look at Norway and how we travel through Norway. With a river cruise, you always have sight of the shore and with Hurtigruten, you have the same thing — you’re always seeing the shoreline and it is the most spectacular shoreline. The country itself is being discovered, and it’s an incredible story. Norway is a clean destination, an easy destination, English is widely spoken and they love Americans there. Immersion is a word in fashion now in the travel industry. Not only are we traveling in the destination, we are part of the destination. Hurtigruten is part of Norwegian culture. 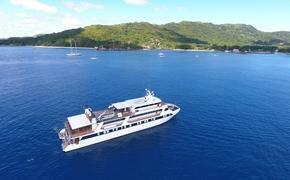 Plus, we offer the small-ship immersiveness. The ship is small enough get deeply into the fjords. It’s a legendary company that is a lifeline for a lot of small villages (where the ships deliver mail and supplies). Our customers can see these vessels at work. Immersion is a word in fashion now in the travel industry. Not only are we traveling in the destination, we are part of the destination. Hurtigruten is part of Norwegian culture. And our Explorer product on the Fram explores Greenland, Antarctica and Spitsbergen — all destinations now being discovered. We’re in the right place at the right time. 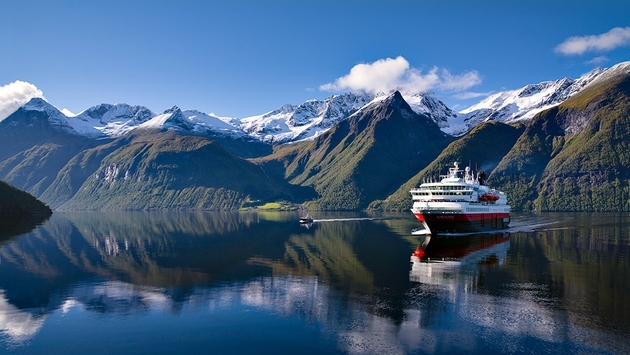 TP: Why is Hurtigruten aggressively expanding its sales efforts in the U.S.? GD: There are macro-economic reasons that have to do with the onslaught of the Baby Boomers and the opportunity that market presents. We’re catering to the sophisticated traveler, someone who has been many places and is looking for something that’s different. The U.S. economy is picking up and people are traveling again. We’re looking to double our business over the next few years, and we’re tracking quite nicely on that. TP: Tell us about the new “Norway’s Coastal Kitchen” program that promotes local cuisine and ingredients on your ships. GD: It ties in with our immersive experience. We are part of the destination, so we are trying to bring Norwegian cuisine to the forefront, so our customers eat what’s local. The staff on the ship gives a presentation on which farm the food came from, where a particular fish was caught, or if the lamb is from the Lofoten Islands, which are famous for their lamb. Food has become such an integral part of any travel experience. TP: What else is new at Hurtigruten? GD: We are putting together more packages. We own quite a bit of inventory on Spitsbergen, including hotels and excursions. We dock our ships there, and we have snowmobiles. That’s one place that if you want to get around, you need a snowmobile. Spitsbergen is famous for its polar bear population; there are about 3,000 and they are highly protected. How many people can say they’ve seen polar bears with their cubs? Antarctica continues to be very popular as well.